When travelling for a short period, it is often more convenient to pack a small, highly manoeuvrable, cabin bag instead of a half full suitcase. This in turn has the added advantage of allowing you to avoid the baggage reclaim on arrival. The Surfanic 40 Litre Overhead is designed to fit the bill. The large single compartment inner enables you to easily pack for a weekend away without compromising on portability. 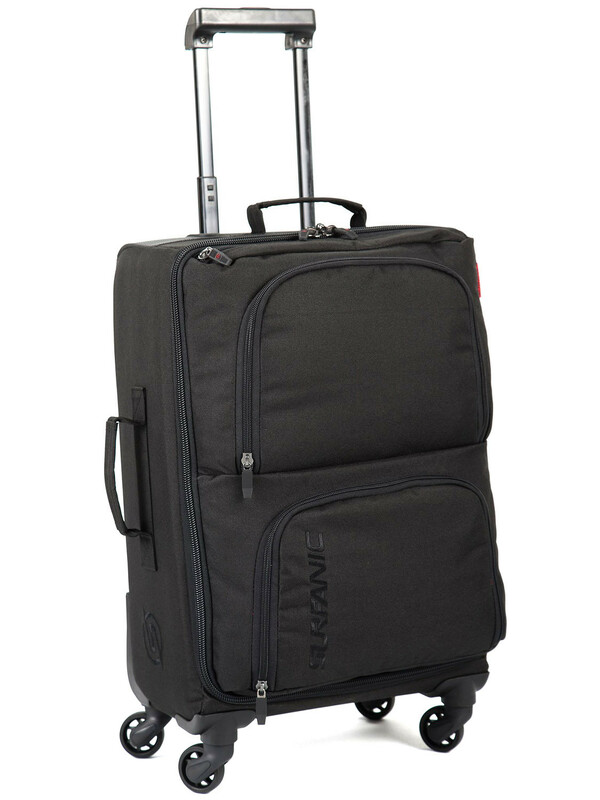 Stroll weightlessly through departures with the robust and easy glide quad wheels, keeping hands free for passport and paperwork presentation. In the ever changing airline business, cabin baggage sizes are forever changing and vary from Airline to Airline. We cannot possibly produce a bag to meet all of the specifications given, but the Maxim 40 Litre Overhead is a great travel bag that can certainly be taken onboard on many airlines. Please check your specific airline requirements to ensure Cabin Baggage compatibility.